Across an expanding range of industries, disruption is becoming the new normal. Some 73 percent of companies globally believe they are already exposed to digital disruption (source: ZDNet, 2016), whilst 89 percent anticipate that their industries will be disrupted by digital trends to a great or moderate extent (source: MIT Sloan Management Review, 2016). Against this, only 44 percent say their organisations are adequately prepared for such disruption. The disruptive potential, is, in part, related to the ability of a business to make the most of digital technology in their efforts to provide a better customer experience. Many of the companies leading today's technology-driven transformations across industries are building their proposition on business platforms. This shift is still in its' early phases, although it is already becoming clear that traditional business models will become increasingly uncompetitive over time (source: Harvard Business Review, 2016). We are also witnessing a shift in the traditional 'innovation' model - in so far as any single model could be said to have existed. This is to be welcomed, since various studies show a failure rate for innovation of between 40 and 90 percent (source: INSEAD, 2016). In fact, half of all businesses admit they are only 'marginally effective,' at converting R&D spending into actual products (source: Forbes, 2016). Not only is product centric innovation generally ineffective, it ignores two important issues driving change - the rising servicization of products and the primacy of the consumer experience. The first trend is reflected in the forecast of average allocation of R&D budgets to product offerings. From 46 percent in 2010, the figure is expected to decline to 37 percent by 2020 (source: PwC (Strategyand), 2016). The issue of consumer experience is also intertwined with the relative success of innovation since numerous studies reveal innovation processes involving customers, especially lead users, to be more likely to succeed (source: INSEAD, 2016). The nature of innovation is changing in a commoditized world; design thinking can help provide value, points of differentiation and catalyse needed organisational change. Do you know the needs, behaviours and problems of your target groups? What kind of value do you provide them? Do your target segments' needs, your value proposition, and your overall business model align? Digital platforms are becoming the tools of choice for building next-generation products and services around consumer experience. They are also key in scaling entire ecosystems in the digital and physical worlds. Such platforms will be transformational for companies and industries, owing to the ecosystem they create. 81 percent believe that in the future, industry boundaries will dramatically blur as platforms reshape industries into interconnected ecosystems. Such blurring will necessitate the design of truly customer-centric products and services, as well as a new organisational approach (source: Accenture, 2016). In a blurred business environment, design can be the factor that helps organisations stand out. Platforms already form a central part of many organisations' innovation strategy. Some 50 percent of executives' highlight platforms' importance (source: Boston Consulting Group, 2015) in innovation, whilst 82 percent cite them as 'the glue that brings organisations together in the digital economy (source: Accenture, 2016). In this sense, platforms can strengthen both internal and external structures; for example over nine in ten R&D professionals suggest that smart products will require them to expand their partner ecosystem (source: Economist Insights, 2016). companies are starting to build proprietary platforms and driving third parties to engage in co-innovation initiatives around R&D or customer engagement (source: Cognizant, 2016). the Apple of the industrial sector (source: Cognizant, 2016). Some of the most well-known platforms are the most disruptive - such as Uber or Airbnb. The latter is calculated by HVS to cost hotel groups approximately $450 million each year in direct revenues (source: Hospitality.net, 2016) and possesses a bigger room inventory than the biggest three global hotel chains (source: Bloomberg, 2016). Not all platform businesses are start-ups however. In January 2012, Nike began the diversification of its business model with a hybrid servicization strategy. It brought out a wearable technology device, the FuelBand, to track user fitness activities, including steps walked and calories burned. It has also developed apps, that could usher in a new form of growth akin to Apple's platform business model (source: Fortune, 2016). Another prominent platform - Alibaba - straddles the B2B -B2C divide - operating in both but with an increasingly blurred distinction. Several platform offerings are aimed at both simultaneously. Alipay Everywhere resembles a mash-up of other prominent platforms such as TaskRabbit, Uber, and Paypal combined into one. 'Users who tap the feature inside Alipay's mobile app will see a map filled with location pins, each representing a person offering a specific service. Users can filter service offers into categories like "personal training" and "repairs," but anyone offering any service will appear as long as he or she is within the range of the prospective buyer (source: Quartz, 2016). Convoy may charge less than a freight broker to facilitate the transaction, and it is designed to offer a more streamlined service than a call-and-quote broker (source: Deloitte, 2016). However, for many organisations the gap between their current capabilities and the promises of platform-led innovation are both substantial and internally located. Insufficient time and capital are usually cited as barriers, but both the internal organisation and the user experience are of at least equal import, if not more. A new design paradigm will be a prerequisite for organisations looking to build innovation capabilities - both from an organisational standpoint and in terms of product and/or service. Intelligently designed platforms can create new forms of value at scale as well as distributing innovation efforts. Do we have the right incentives in place for people to use platforms? What aspects of our business would be best suited, or reap most value from, a platform approach? The effectiveness of traditional innovation and R&D is further compromised by the fact that only 40 percent of new products that reached national retail distribution are still sold three years later (source: MIT Sloan Management Review, 2016). Whether deliberate or not, this short-termism reveals a lack of focus on how the customer makes purchase decisions and evaluates new offerings. What's worse is that this ostensible short-termism reflects a form of organisational myopia. Fully 89 percent of customers have started doing business with a competitor following a negative customer experience (source: SAP (Digitalist Mag), 2016). Designing a seamless experience throughout the lifecycle of a service or product is fast becoming a key point of differentiation in an increasingly commoditized world. In 2016, only 4 percent of organisations said it is "very easy" for customer service people to access the information they need and to provide rapid service (source: Harvard Business Review, 2016). A holistic approach also helps mitigate against a bigger source of disruption than technology itself. Changing customer behavior and expectations are seen as the biggest source of disruption (source: Ernst & Young, 2016) and are often overlooked by organisations fixated on technology as providing plug and play capabilities. The medium is clearly of great import, and greatly tied to design, but the bigger picture must be grasped by those who wish to build a superior customer-centric product or service. In its widest sense, design thinking encompasses an approach to innovation that depends on a deep understanding of, and drawing insights from, the people at the centre of a given change. With sufficient insight, designers then take an iterative approach to generating, prototyping and testing their ideas . This includes previously undervalued areas of business such as customer service. In its widest sense, design thinking encompasses an approach to innovation that depends on a deep understanding of, and drawing insights from, the people at the centre of a given change. With sufficient insight, designers then take an iterative approach to generating, prototyping and testing their ideas (source: Cognizant, 2016). This includes previously undervalued areas of business such as customer service. Since more business in the future will be digitally enabled and handled, it follows that increasing volumes of product and service design will be digital. It would be mistaken to see technology as a design paradigm in and of itself however; the medium is in some ways less important than the orientation a brand brings to it (source: Medium, 2016). A design led approach will require companies as a whole to think like designers - and incorporate an expanding array of tools from the world of design. This must be fused with a strong focus on human behaviour. In short, design thinking will become essential to business success (source: Guardian, 2016), but only if it is done right. As traditional industry barriers erode and technology becomes ubiquitous, it is likely that the medium of a given brand will matter less than the service provided through it. Service design is therefore effective in both driving business model change and generating value for customers and organisations alike across a range of industries (source: Guardian, 2016). It will also be key in unlocking new pockets and forms of value in the future if the World Economic Forum's (WEF) prediction of all products becoming services by 2030 comes to fruition (source Medium, 2016). Design thinking needs to evolve beyond the product or service to encompass the wider consumer experience and the internal structures that support it. How can we servicize our offerings? Is our data sufficiently strong to draw upon? 'In the new world, it is not the big fish which eats the small fish, it's the fast fish which eats the slow fish (source: McKinsey, 2016), notes Klaus Schwab of the World Economic Forum. This observation holds true across nearly all industries, and is central to both innovation and the notion of design thinking for products and services. Design thinking is not confined to the creation of attractive interfaces. pretty interfaces or digitizing operations, although these may feature as part of it. Design thinking, in essence, involves applying creative, nonlinear approaches to reinvent how customers (and, increasingly employees) interact with the business. As with the examples described thus far, change is happening across many markets and industries and we can all learn from each other in these disruptive times. What follows is an illustrative view of innovation in innovation in five markets. Examples abound within financial services of novel approaches to interact with customers. ASB Bank in New Zealand, for example, was among the first banks in the world to pioneer interactive, two-way video banking applications for mobile devices. leveraging blockchain technology to enable private companies to issue securities (source: FinTech Singapore, 2016). This in turn could enable BNP's customers to be able to do different things. More holistic approaches exist too, such as with ING. A company-wide strategy project was initiated in which design thinking principles took a leading role. The innovation team ran it, applying design thinking to develop a new strategy and new business ideas, and as a result, the organisation created its own approach to scenario planning based on design thinking. The extent to which the project has permeated the organisation is striking - account managers now use design thinking during their sessions with clients. In addition, ING has a toolkit dedicated to observing trends such as blockchain and AI. This toolkit is accessible both internally by employees, and by clients, who will often have to react to these developments in their own markets (source: Design a Better Business, 2017). To grow its wealth management business, BT Financial Group (BTFG) concluded that it needed to simplify its legacy systems while simultaneously integrating them with the core banking IT infrastructure of parent Westpac. This required a holistic approach, an entirely new system and investment buy-in from the Board. The iterative approach was supplemented by data from the increasingly successful customer use of the products and platforms - ensuring user-centered design twinned with intervention design to bring about a revolution in the way BTFG served its customers (source: Harvard Business Review, 2017). Other stakeholders are able to adopt greenfield design principles, notably start-ups. ETrade for example follows the approach laid out in the Double Diamond Process developed by the British Design Council. There are four stages in this design process: discovery, definition, ideation and delivery (source: The Street, 2016). In the discovery phase, designers and product managers conduct research to understand customer pain points. Customer research is then synthesizes to help pinpoint the first phase. Next, early prototypes are created to visualise potential concepts in the ideation phase. Customers are part and parcel of this process and co-create these concepts. In the final phase, customers play a vital role in testing the usability of the new experience. not tied by trying to create a different user experience on top of another banking platform. We've designed something from the ground up that we're happy with and that we believe puts us in a strong position for the long game (source: UX Matters, 2016). A design thinking process is evident in their alignment between customer experience and how Atom designs for interaction. For example, biometrics (face and voice) can be used to log-in which would seem to align well with the targeted Millennial market, whilst the logo of the bank that appears on screen can be personalised. The app based bank is also aiming to use machine learning technology to guide its customer support team. 'The software learns which agents are getting the best results resolving customer queries and feeds that learning through to the rest of the team, making sure queries are handled consistently in the best way (source: Campaign, 2016). Legacy infrastructures constrain the potential of design thinking and innovation, but also compel both to be explored. Design thinking and customer-centricity can enable challengers and start-ups to quickly gain ground. Building a truly consumer-centric approach may take time, but is perhaps a better approach than rashly applying pseudo-functions that do not address consumer needs. A 2015 study out of the University of Potsdam discovered that only about seven percent of financial and insurance industry firms are actively encouraging design thinking, versus close to 20 percent of leading industry groups, such as IT, communications and education (source: UBQT Solutions, 2015). This low number explains some of the popularity of those who embark on it as an innovation tool and manage to get it right, such as Atom Bank. In 2012, MassMutual was investigating innovative ways to persuade people younger than 40 years old to buy life insurance. The traditional product-centric approach wasn't delivering desired results, leading MassMutual to partner with IDEO to design a new customer experience focused on educating people about long-term financial planning. The result, launched in 2014 (source: Harvard Business Review, 2015) featured a multi-channel experience and the provision of consumer facing tools that disrupted the firm's norms and processes; in effect they launched a new brand, new digital tools and initiated organisational redesign. Above all the new service provides MassMutual with real-time insights into customer behaviour; something they were previously lacking. In ways reminiscent of changes convulsing the wider financial services ecosystem, many of the agile and innovative consumer-centric propositions are being instigated by FinTech (or InsurTech) companies. As McKinsey notes, customer preference is the guiding principle underpinning insurance fintechs such as PolicyGenius, Knip and Acorns. Again, digital is key, but not in and of itself; rather, the experiences it enables (source: McKinsey, 2016). Design thinking can help address some of the most strategic market issues insurance faces, including low penetration and problematic market segments. Innovative challengers and InsurTech companies could lead to a death by a thousand cuts, absent a holistic and far-reaching reorganisation that places people ahead of products. Ecosystem partners and collaborators can be key for those without the expertise or experience to embark on design led principles. Examples abound of design thinking in the healthcare ecosystem. In 2014 Johnson & Johnson announced it had become the first Big Pharma company to appoint a chief design officer (source: Fierce Pharma, 2014). The rationale for such a move is inherent; pharma at its core is a design business, and the size of the big players requires a degree of integration between the various departments and interest to ensure consumer needs are front and centre of the process. to have multidisciplinary teams frame the problem space more accurately. It's a great process for stakeholder alignment,' he suggests (source: Eye for Pharma, 2015). to combine personnel into patient-centric teams, dramatically improving patient outcomes (source: Deloitte University Press, 2016). The creation of team powered services is a concept central to design thinking. Flatter, and even decentralized, power structures are a better fit in an environment characterized by ambiguity, speed and evolving digital norms. In such an environment design and redesign is critical (source: Raconteur, 2016). Design thinking can provide a platform, or common ground, for stakeholders to coalesce around. One of the more common assumptions amongst organisations is that technology is the innovation (and design) itself; that being able to do something means that it should be followed through. Often this can lead to the creation of products with pseudo-features that add little to nothing to the experience. Prior to contacting a design team to help them through the process, Braun and Oral-B had wished to develop an IoT electric toothbrush replete with data-tracking features. The designers convinced them to instead think about how additional technology could mitigate existing frustrations consumers had with the non IoT product. The end result was the integration of two features deemed to be most value-adding for consumers; a USB port to allow charging whilst on the road and an app that the toothbrush connects to, reminding the user of warn out brush heads. Pressing a button on the brush sends a reminder notification to your phone to buy replacements (source: FastCoDesign, 2016). Design thinking and innovation should address real needs and not rely on what is possible technologically. External input, even for leading companies, can provide key reflections and ideas. leadership and team development, team leader selection, performance management, and intelligence-gathering for Cisco teams and their leaders around the world (source: Deloitte University Press, 2016). Giving key employees what they need and when they need it is a key driver of organisational design and by extension customer service and experience. Denoting who is key, and who is not is not an easy first step; for example at Infosys the issue of design thinking is considered so important that board members are being trained and educated in it (source: Economic Times, 2016). there's no longer any real distinction between business strategy and the design of the user experience (source: Harvard Business Review, 2015). That said, specific design thinking principles can at times be applied selectively - whether through a pilot project or to address a specific need. Design thinking can smooth processes and systems prone to friction. Design thinking is key to employee experience. Innovation is extremely difficult/inefficient without basing it around real people's problems. Design thinking at its best is also intent on improving internal processes, structures and outcomes. KPMG, for example, used design thinking principles to help identify and understand what drives employee engagement and retention. Initial analysis pinpointed that purpose-driven work was a key area to explore more fully. KPMG then began a process of refining specific goals and focussed their analytical efforts and metrics to track progress and results. The resulting Higher Purpose Initiative has since led to significant improvements in employee engagement and morale (source: LinkedIn, 2016). 90 percent of staff reported that the higher purpose initiatives increased their pride in KPMG. Employee engagement survey rose to record levels as well. A year after the initiative launched 89 percent of employees agreed that KPMG is a great place to work, up 7 percentage points from the previous year. 76 percent of employees said their 'job had special meaning (and was not just a job),' six points higher than the average of their Big Four counterparts and a four-point jump year over year. KPMG also found a strong association between leaders who talk about the positive societal impact of their teams' work and a variety of positive human resources and business indicators. Since superior customer service and satisfaction can stem from happy and engaged staff, internal applications of design thinking are a key facet of success. Telstra hires thousands of employees each year, each of which has to learn a number of systems, products, pricing plans and new ways of working. To address this strategic challenge, Telstra used design thinking to develop a new '90-Day' onboarding experience for all employees. Its design thinking process gave Telstra key insights into pain points, needs, and challenges of their onboarding process during the first 90 days. productivity rose, employees became more committed and engaged, and new hires became more quickly integrated into the organisation (source: Deloitte University Press, 2016). Its success in this area has led to Telstra applying design thinking across the organisation and other HR processes. Design thinking is people-centric, both in terms of consumers and employees. Design thinking can permeate all of an organisation and help drive strategy. Which of our partners could be leveraged to help drive change? Innovation and design - along with data - will become strategically aligned to the core values and vision of an organisation. Designing organisation models that allow this will become a pre-requisite for success; to assume that new technologies, processes and ways of thinking can be grafted onto legacy structures is a damaging fallacy. This redesign must be holistic - encompassing back and front ends, and oriented towards employees just as much as consumers. There is even merit in suggesting that design thinking needs to be applied more definitively with regards to how experiences are produced and services delivered internally. Companies spend $1 Trillion on the customer journey, yet around one thousand times less on employees' journeys according to BCG (source: Boston Consulting Group, 2016). Such an imbalance makes complex change more likely to fail. McKinsey notes that 70 percent of complex change programmes result in failure (source: McKinsey, 2016) whilst only half of reorganisations are deemed successful (source: Consulting Group, 2016). With the wider world of work evolving at a quickening pace, the need for organisational renewal - no matter how difficult - is pressing. Organisational design, although largely hidden from the end user, could become a key form of differentiation - not only providing seamless journeys uninterrupted by silos for consumers, but a better work environment in which to work. Companies can no longer afford to ignore the pressing nature for organisational renewal. If today's or tomorrow's competitive environment is not considered reason enough for change, consider the degree to which fundamental shifts in work structures could upend your structure. by 2027, most work will be project-based, with agile teams (internal and external) the dominant unit (source: Bain, retrieved 2017). Such a change is not guaranteed but neither is it an isolated possibility. A range of work related changes, mostly emergent within current work structures and product design offerings suggest that organisations will need to adopt new measures and tools for rapid delivery of customer experiences - and organize along these lines. Designing agile organisations will become a major point of competitive advantage, but significant legacy barriers - whether mental, structural or technological will need to be overcome. The majority of executives are receptive to the idea of technological change; some 86 percent say the pace of technological change will increase rapidly in their industry over the next three years (source: Accenture Technology, 2016). The friction that results from transplanting new technology, processes or ideas onto old structures remains impossible to ignore however. 85 percent of executives state the greatest growth barriers are internal (source: Harvard Business Review, 2016). It is here that innovation and design thinking is most sorely needed. Such as internal focus also enables a better consumer focus in time. Holistic consumer experiences require holistic organisations, and cross-silo coordination is increasingly key to delivering outcomes. Data provenance is an obvious enabler of such holistic service. The technologies underpinning digital transformation - such as data analytics, mobile capabilities and social highlight the pressing requirement for design thinking to permeate management decisions. They are relatively prosaic, technologically speaking, yet nine in ten organisations in 2016 still report the implementation of digital transformation a significant challenge, with 70 percent of these again citing internal complexity as an inhibiting factor (source: eWeek, 2016). Such organisational challenges will severely restrict the success of any external offerings. 70 percent of buying experiences are based on how the customer feels they are being treated, and this is directly related with showing the customer they are cared for and thought of, throughout the lifecycle (source: UX Magazine, 2016). It has even been predicted that customer experience will overtake price and product as key brand differentiators by 2020. Focusing on the customer experience and its design affords businesses the opportunity to differentiate in a more meaningful way than through price alone (source: UX Magazine, 2016). In the age of business agility and shifting consumer demand, it is no coincidence that design-driven companies have outperformed the S&P 500 by 219 percent over the 2005-2015 decade according to the Design Management Institute's Design Value Index (source: McKinsey, 2015). designing new products, processes, and services with the best attributes of digital in mind (source: UX Matters, 2017). Design driven cultures can also express themselves in relatively prosaic ways. Walmart's redesigned e-commerce experience led to an increase of unique visitors to its website by 200 percent. Bank of America's user-centered redesign of its process for account registration boosted online-banking traffic by 45 percent (source: McKinsey, 2015). Organisational design will become a key enabler of innovation, differentiation and of consumer experience. Overcoming internal legacy technology, mindsets and structures will be key in enabling better design. A number of questions should be considered for those wishing to embark on design-led innovation. Do you have somebody appropriately placed to drive design-led thinking throughout the organisation? Does your technology align with your business imperatives? Although the future of product and service design is clearly more than either technology or interfaces alone, they clearly play an important role in connecting the user to the experience - whether on the back-end or directly consumer facing. And, whilst technology on its own does not innately provide superior user experiences, with clever design and alignment it can become synonymous with an experience, brand or company. Strategic use of technology can also enable companies and brands to do different things, as opposed to merely doing things differently. New business models, forms of value and customer relationships can result. For example, 84 percent of manufacturers hope to increase their use of virtual reality for customer service over the next three years (from a current base of 38 percent). Furthermore, by 2020, 90 percent of manufacturers plan to offer purpose-built apps for their customers, and 89 percent hope to use automation for customer experience in the future (source: Computer Weekly, 2017). If they are to succeed, design thinking is essential - not just in terms of delivering an experience that enhances customer satisfaction but enabling new forms of value. IoT success will be difficult for many companies to achieve, because they'll fail to recognise the value of design in connected product development. The fundamental principle in the IoT 2.0 era is that IoT is not the end product (source: Harvard Business Review, 2016). require a new partnership between those who understand and advocate for the user and those who understand and integrate the technology (source: Harvard Business Review, 2016). This will hold true for other technologies too. Mixed reality, augmented reality and real-world information overlays can be used to augment workers, provide better customer experiences and potentially boost productivity. Whether or not humans design the specifics of future partnerships is open to debate. it's entirely possible that creative tasks may be done by supercomputers (source: MIT Sloan Management Review, 2016), in the not-so-distant future. Certainly, the wave of new design imperatives will demand a raft of new skills and approaches. Working alongside AI is probable. The next generation of apps, meanwhile, could require developers to think more of the human as the user interface. Skinput and other zero ui (user interface) technologies such as Google's project Soli do not have inherent screens. Such technologies bring new tactile senses from touch for example - meaning designers will need to incorporate insights and visions from science, biology, and psychology to create these devices; things designers haven't necessarily considered when designing for screens (source: FastCoDesign, 2015). Technology is not analogous to design, but provides a key platform on which to 'practice' design. Which technologies can we use to enhance our value proposition? Do we have the necessary skills, mindset and desire to integrate our business internally and/or technologically? The changing nature of design, the shift in areas to which design-thinking is applied and the evolution of new technologies such as artificial intelligence and virtual reality will all contribute to a shift in the type of design jobs in demand (source: FastCoDesign, 2016). UX Designers User experience designers are among the most in-demand designers working today. UX design could divide into more specialised fields however. Visual Designers In the next 10 years, all visual design jobs will start to be augmented by algorithmic visual approaches. Design Researchers New technologies like machine learning and virtual reality are intruding on design research. developed to pick up any changes made to a physical model of a product and reflect those changes back into the digital model, or vice versa (source: The Economist, 2016). Integration with other breakthrough technologies- such as 3D-printed electronics - could further enhance the capability of ReForm. For example, it could produce prototypes and even one-off products that are more functional (source: The Economist, 2016). The impacts of new technology, whilst sometimes complex, will almost certainly redraw the required skillsets and competencies of practitioners. Growth areas are likely to appear alongside a lesser need for other design positions and skillsets. Virtual Interaction Designers Virtual and augmented reality (together known as mixed reality) is set to become a $150 billion industry by 2020. 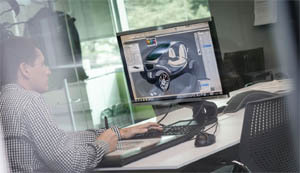 Algorithmic/AI Design Specialists AI will create new design opportunities. The challenge for the designers is to tie the coding of algorithms with the experiences they enable. Post-Industrial Designers As every object becomes connected, the need for connected experiences rises - and someone should design for these connections. Design Strategists The importance of design strategy will grow. Future design strategists will need the ability to understand and model increasingly complex systems. Organization Designers As organisations realise the need for change is holistic, as opposed to cosmetic, organisation change designers will become popular. The wider design industry is at an inflection point; the talent model is shifting and will continue to do so. Design is being taught in business schools and in general, there is an increase in the number of individuals working across the traditionally siloed sectors of business, design and technology (source: McKinsey, 2016). As a result, creativity and design are being democratized - and traditional designers will need to evolve their contributions in multidisciplinary environments. Design's central role in furthering innovation and providing clear financial gain is almost too important to leave to traditional designers alone. Do we have a talent pipeline capable of sourcing needed talent? Is our organisation capable of capitalizing on the latest technologies? What do we need to do to put design thinking at the heart of our organisation? Design thinking has become a key tool in driving differentiation, aligning technology to business objectives and in raising customer experience levels. It is also emerging as a key driver of organisational renewal and talent acquisition and retention; indeed, as a tool it needs to be embraced holistically rather than by department if its benefits are to fully accrue. Almost all of the key issues for tomorrow's business, from data provenance through internal processes to customer experience can all be designed for in innovative ways that are already starting to distinguish winning organisations. Innovation itself is increasingly being designed for - most obviously via the creation of platforms. Uber, Amazon and a host of other digital companies show this most obviously, but perhaps the bigger change could occur when companies start platformizing aspects of their own approach. HR, finance and talent stand out as some of the areas where design thinking could create major gains - not just in terms of bottom line efficiency but in helping these areas do different things. In fact, it could be argued that in the future, via key metrics, that what a department (or even a company) makes or offers will not be as important as what that they do to serve and how they go about it (source: Guardian, 2016). If the design revolution is to succeed it is important that it is not left to designers alone to see its implementation. Its democratization across the enterprise will require a change in mindset, but it is also aided by a changing talent model and advances in technology that could further upend how and where design occurs and more importantly, who is driving the design process. Design alone is not a panacea; it cannot overcome poor strategy, structure or compensate for inadequate services or products. Used strategically, coherently and aligned to various business outcomes it does however represent a viable medium for helping build the business of the future. 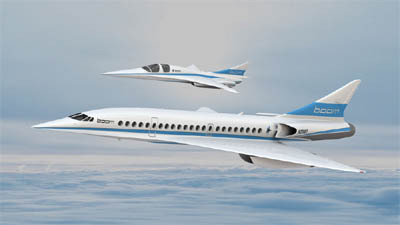 A breakthrough aerodynamic design, state-of-the-art engine technology, and advanced composite materials enable an ultra-fast airliner as efficient and affordable as business class in today's subsonic wide-body airliners. 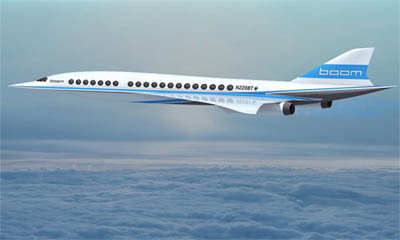 Supersonic aircraft fly higher than other aircraft, up to 60,000ft. At this altitude, you fly above most of the turbulence, allowing a smoother ride than on subsonic aircraft. Breaking through the sound barrier is inaudible and uneventful; you simply won't notice it. On Concorde, announcements were made and champagne was served to celebrate the moment - which otherwise would have been overlooked. Africa today is in many respects different from what it was in the past. It has indeed expressed its will to converge towards the level of countries seen as developed and stable. This vision gives rise to ambitious plans for emergence and/or development, embodied in decisions and actions in this direction. Although this ambition is praiseworthy, Africa is facing major challenges on its way to development and some of them are the lack of infrastructures and deficiency of energy supply among other things. Knowing this, the energy supply then becomes a major key to achieve these goals but also, to gain and maintain leverage on the geopolitical sphere as it is an important link to the chain of the development of Africa and the materialization of concerted efforts in this direction. In that configuration, a country like the Democratic Republic of Congo (DRC) is running with an advantage on other countries because of its energy potential, emphasized by the fact that this potential is essentially from renewable energy sources. For example, the hydraulic energy of the DRC has a capacity of production evaluated at 100 000 Megawatts across 780 different sites . Understanding this triptych gives to States, companies and the great public a reading grid of possible interactions but also, provides an enlightenment which can lead to scenarios for the purpose of economic intelligence, strategic surveillance and realistic projections of evolutions related to balances of power between African countries in the future, in order to make prospective analysis in order to operate with efficiency and precision. This paper seeks to identify different implications for the recent decision by the government of the Democratic Republic of Congo to liberalize the energy sector, opportunities for international groups and possible geopolitical balances of power between countries that can occur for the access to energy. The Democratic Republic of Congo, located in central Africa, is a country that has gone through a war for economic reasons for nearly three decades . It is facing a political and economical crisis with a deep popular exasperation in the background, accentuated by the fact that elections did not take place by the end of 2016, giving rise to a crisis of legitimacy of its actual government. 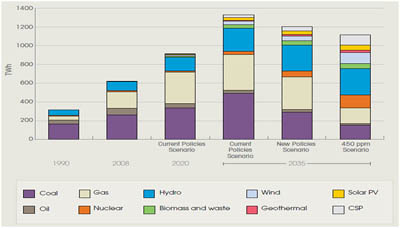 However, despite the inherent uncertainty of the precariousness of its political situation, the future of energy in Africa may be based on the DRC, since it is capable of providing a sustainable and cheap green energy, which can be an answer to the "energy trilemma" according to PWC: security of supply, sustainability and affordability . The total installed energy capacity in the DRC is estimated at 2,516 megawatts. The country's electrification rate remains low at nearly 10% and the Congolese government's goal is to increase the level of service to approximately 30% in 2030, particularly by encouraging private investment in the energy sector through new codes and reforms. Countries bordering the DRC could also be very interested in new prospects of energy supply for the development of their industries and their countries, which could lead to international actions in order to maintain peace and security in this region, characterized by insecurity and instability for too long. With this, we can get a glimpse of the future battle of the African energy geopolitical scale with the new status of the DRC: the energy superpower in Africa. It is also a reading grid for the future interactions and relationships between the Democratic Republic of Congo and its partners in this project, knowing that the majority of these countries are those of the Economic Community of Central African States (Gabon, Cameroun, Central African Republic, Chad, and Angola) and the Southern African Development Community (Angola, Namibia, Botswana, South Africa, Zambia, Zimbabwe). But we also note that this project is going to expand the area of influence of the DRC in western Africa with Mali and Nigeria but also in the Northeast with Egypt. 3. Engaging in a public-private partnership between the DRC and South Africa for the construction of the Inga III plant, which has a capacity of 4,500 Megawatts. The liberalization of the energy sector in the DRC is giving a way to private investors to implant small hydroelectric power facilities for domestic and/or foreign consumption. These elements, put together, can make the DRC a heavyweight both in energy production and in sustainable development goals, which could yield its geo-strategic scope in Africa and in the world, as this project is implemented. The energy sector of the Democratic Republic of Congo could be helped by the fact that studies show that by 2060, the demand of electricity will double . It is an important fact to consider because, in order for the project to be carried out properly, the DRC needs to master the energy learning curve, which not only implies investments in infrastructures but also education, for a qualified workforce and more rigorous management of public affairs. Doing it means to learn, master and implement the best practices in the energy sector for the sustainability of the production and the efficiency of actions. Another main advantage of the Congolese energy potential is that it is from renewable sources, which could most likely be crucial in the decision to invest in that direction, pressed by climate change and the necessity to implement the energy transition. This point is critical because it implies massive investments in infrastructures, which are not easy to predict. What is probable is that with climate change and the need to supply an affordable and sustainable green energy, governments, pressed by the international opinion, are most likely going to pay more attention to this fact. The shadow zone in this analysis remains the inability to predict the political future of this region, which is experiencing instability. However, it makes sense to postulate that political instability and insecurity inherent to it are most likely going to be bottlenecks to the realization of this project. On the other side, according to cleanleap , until 2035, Africa's energy mix is going to give more space to hydroelectricity whether with current policies scenario or with new policies for the energy sector. It is explained by emergencies of that period: the development of Africa, needing a clean, secure and affordable energy, not to forget the necessity for countries to reduce their carbon emissions. To be realistic, the awakening of the DRC as an energy superpower is not for the short term. It is most likely going to happen between 2035 and 2050, when the world is going to federate around climate change and the need to have cleaner and more sustainable energy sources in order to reduce carbon emission globally. What is more likely to happen in case this project takes form is a rebalancing of the geopolitical sphere in central Africa in general and in the Great Lakes region in particular. It is probable that the voice of the DRC is going to be more audible in this region, in the continent and in the world because of the room for maneuver caused by energy supply. 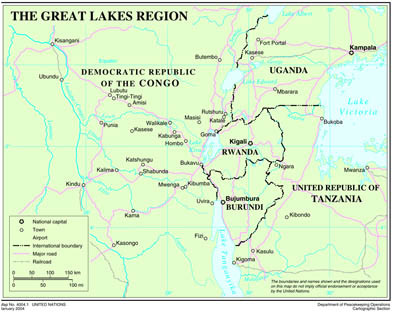 It is useful to remind that the Great Lakes region is located in central Africa, around the east African rift and include a series of lakes such as Lake Victoria and Lake Tanganyika. Countries of that region include the Democratic Republic of Congo, Burundi, Rwanda, Kenya, Uganda and Tanzania. This region is among the most dangerous parts in the world, partly explained by the fact that many armed conflicts take place there, mostly for economical reasons. Many attempts to resolve these conflicts have been engaged but have failed for different reasons. Nevertheless, it is possible to find peaceful solutions if every stakeholder implements the taken decisions and if these decisions are efficient and effective to act on the roots of the problem instead of acting on visible parts of these conflicts. (Dealey, 2006) . The first one is the increase of cooperation between the countries of central Africa, through the use of energy dependence of countries of the Economic Community of Central African States and the Southern Africa Development Economic Community to the DRC, which could create a "Congo centrism" If the DRC is able to redress its economic, technological and political situation and if its different governments are articulating their actions with plans to act over a long period. The second way of materializing the rebalancing of cooperation within Central Africa could be through the diplomatic ways: given the energy dependency of many African countries on the DRC's offer and its strategic value as an important link for the stability of Africa, this country could play an important role in the African Union and in international institutions to make its voice sound louder and clearer if its political component is as clear and lucid as it should be. A probable fact coming with the awakening of the Democratic Republic of Congo as the energy supplier of many African countries could be the lifting of an international armed protection force to secure the energy transportation to other countries and to protect production sites, which could be a key element to secure this country and the region. This process, amplified by the fact that by the 2035-2050 horizon, this project is going to be urgent and will have the support of the international community, which means, for the DRC, leverage in the nation's council and the impulsion of both regional and international counterparts, with the final result to boost its outreach and its strategic value. Another consequence of this multiregional and international project is the empowerment of different stakeholder countries in their development and a better cooperation between states of different regional organizations. It will lead to a rebalancing of the balance of power in favor of the Economic Community of Central African States, in which cooperation is made difficult because of poor leadership and lack of synergy, which is going to be addressed because of converging interests of all the countries involved in the process. In this years Foresight Africa, the Brookings Africa Growth Initiative scholars and outside experts explore six overarching themes that provide opportunities for Africa to overcome its obstacles to spur fruitful and inclusive growth. These six interconnected, cross-cutting themes demonstrate the prospects for Africas success for its policymakers, businessmen and women, and all its citizens. By examining such closely intertwined issues, we hope to bring a holistic view of the continent, emphasizing that with each challenge there is a solution, though it might be found where we least expect it. A team of MIT engineers has successfully designed a new 3-D material with five percent the density of steel and ten times the strength, making it one of the strongest lightweight materials known. Exponential growth is a pattern built deep into the scheme of life, but technological change now promises to outstrip even evolutionary change. Oliveira describes technological and scientific advances that range from the discovery of laws that control the behavior of the electromagnetic fields to the development of computers. He calls natural selection the ultimate algorithm, discusses genetics and the evolution of the central nervous system, and describes the role that computer imaging has played in understanding and modeling the brain. Having considered the behavior of the unique system that creates a mind, he turns to an unavoidable question: Is the human brain the only system that can host a mind? If digital minds come into existence -- and, Oliveira says, it is difficult to argue that they will not -- what are the social, legal, and ethical implications? Will digital minds be our partners, or our rivals? 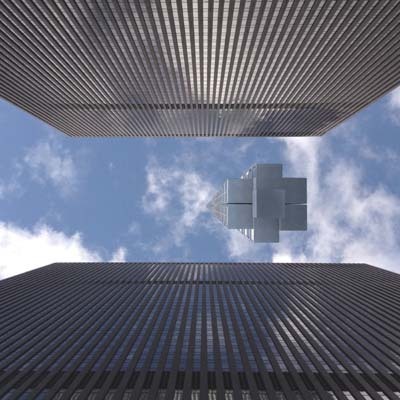 Clouds Architecture Office announces a new system that will overturn the established skyscraper typology allowing for buildings of almost unlimited height. Through the course of history humanity has been able to affect the environment on increasing scales. Today our activity is being registered on a global scale. So why not apply design thinking on a planetary scale? Analemma Tower is an example of a mixed use building that incorporates planetary design strategies, yielding the world's tallest building ever. Analemma inverts the traditional diagram of an earth-based foundation, instead depending on a space-based supporting foundation from which the tower is suspended. 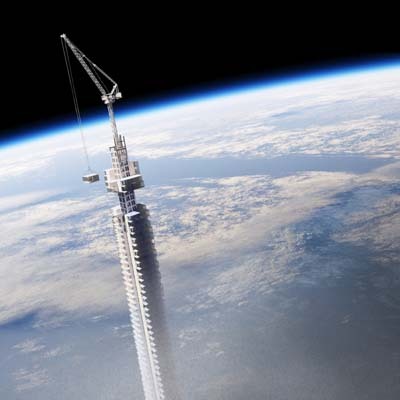 By placing a large asteroid into orbit over earth, a high strength cable can be lowered towards the surface of earth from which a super tall tower can be suspended. Since this new tower typology is suspended in the air, it can be constructed anywhere in the world and transported to its final location. The proposal calls for Analemma to be constructed over Dubai, which has proven to be a specialist in tall building construction at one fifth the cost of New York City construction. Manipulating asteroids is no longer relegated to science fiction. In 2015 the European Space Agency sparked a new round of investment in asteroid mining concerns by proving with its Rosetta mission that it's possible to rendezvous and land on a spinning comet. NASA has scheduled an asteroid retrieval mission for 2021 which aims to prove the feasibility of capturing and relocating an asteroid. Analemma can be placed in an eccentric geosynchronous orbit which would allow it to travel between the northern and southern hemispheres on a daily loop. The ground trace for this pendulum tower would be a figure eight, where the tower would move at its slowest speed at the top and bottom of the figure eight allowing the possibility for the towers occupants to interface with the planet's surface at these points. 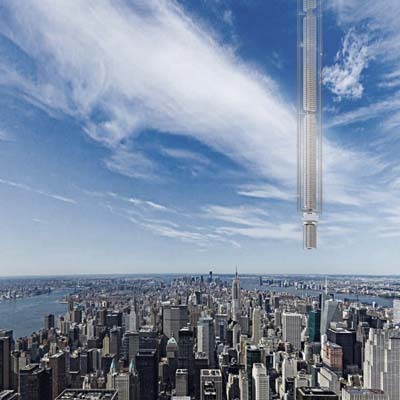 The proposed orbit is calibrated so the slowest part of the towers trajectory occurs over New York City. Analemma would get its power from space-based solar panels. Installed above the dense and diffuse atmosphere, these panels would have constant exposure to sunlight, with a greater efficiency than conventional PV installations. Water would be filtered and recycled in a semi-closed loop system, replenished with condensate captured from clouds and rainwater. While researching atmospheric conditions for this project, we realized that there is probably a tangible height limit beyond which people would not tolerate living due to the extreme conditions. For example, while there may be a benefit to having 45 extra minutes of daylight at an elevation of 32,000 meters, the near vacuum and -40C temperature would prevent people from going outside without a protective suit. Then again, astronauts have continually occupied the space station for decades, so perhaps it's not so bad? Orbital mechanics for Analemma -- geosynchronous orbit matches earth's sidereal rotation period of one day. The tower's position in the sky traces out a path in a figure-8 form, returning the tower to exactly the same position in the sky each day. Ground trace annotated with 24-hour segments corresponding to the towers position over a specific geographic feature. Since 1995, Daimler has been working side by side the largest IT companies in the world to help shape the future of the automobile. 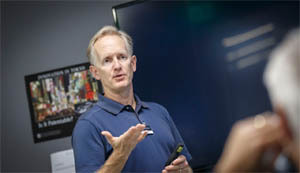 Dr. Eric Larsen took part in this process from the start as Head of Development. In making an argument for large cars, Larsen indicates that the suburbs will be around for a long time and that young people will want children and home-based lives, with lots of space around them. They will fill up a car with kids, dogs and stuff from big-box supply stores. That means people will still want big cars. Conversely, rich people want luxury, based on their income and their desire to show off. He indicates, In our new AMG model we have an idea of, one man, one engine. Although he doesnt use the term, according to Larsen, wealthy people are somewhat schizoid. They want to show they care about the world, and to do this many often buy the more-expensive Prius or provide a niche market for Tesla. But they go back and forth between doing good and doing what their wealth permits and their status seems to generate, a desire for big, technologically contemporary cars. Wealth is so tough to manage! No wonder psychiatrists charge big bucks. Q: How do you think about cars? A. The most fundamental thing is that this is still a big market for family values. America has a robust demographic, a higher birthrate than in Brazil or China, and immigration. And the American lifestyle lends itself to vehicles. The other thing is that smartphones and lots of wireless connectivity changed everything. Lots of other technologies - like big data, autonomous driving - and new business models are possible because of connectivity. Its why almost all the carmakers now have offices in the Silicon Valley.